This guide is made for experienced users. Before attempting this, first make sure that you have performed the Selftest and that you have checked MK3 EINSY miniRAMBo electronics wiring. In many cases, we need to decide whether a component is faulty, or just wrongly installed. There are also situations where we need to decide which component exactly is to be replaced. We are using the multimeter (multitester) for checking continuity, measuring resistance values of heaters and thermistors, and measuring the voltage coming from the PSU and going to the heaters.If you don't have a multimeter, you can consider one that is similar to the ones below. The device does not have to be expensive ( USA, EU). The black lead goes in the COM port. 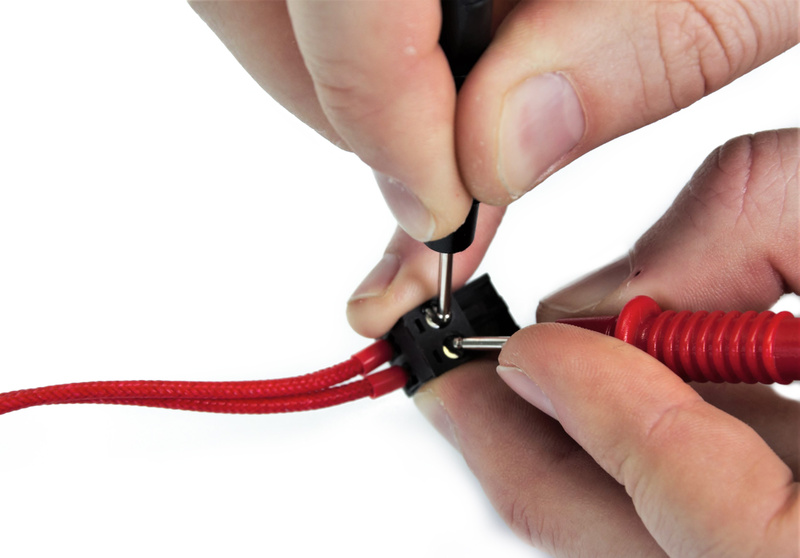 The red lead goes in the port for Volts (V), Ohms (Ω) and Frequency (Hz). Fuses can be checked by using the continuity feature on a multimeter. The only thing that will be checked is whether the component is able to conduct signals or power or not. 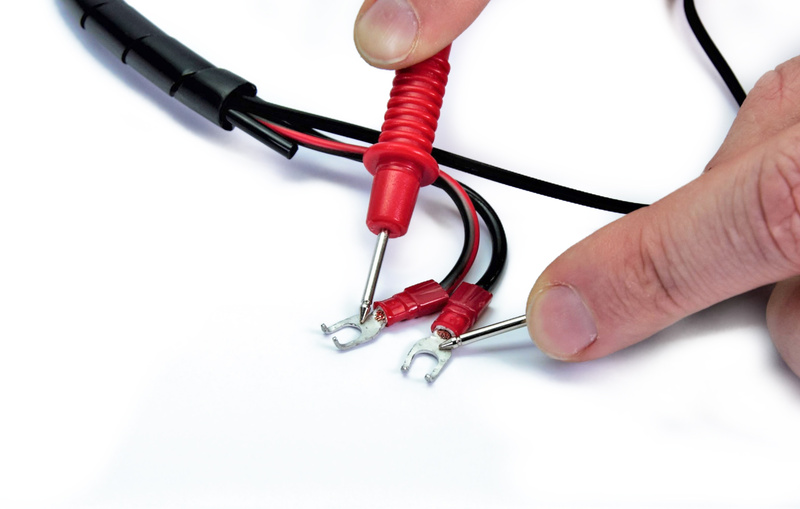 By touching each of the measurement leads of the multimeter to the other end of the fuse or wire, a signal (beep or 0 value on the multimeter screen) will indicate that the component is intact and therefore, should work. 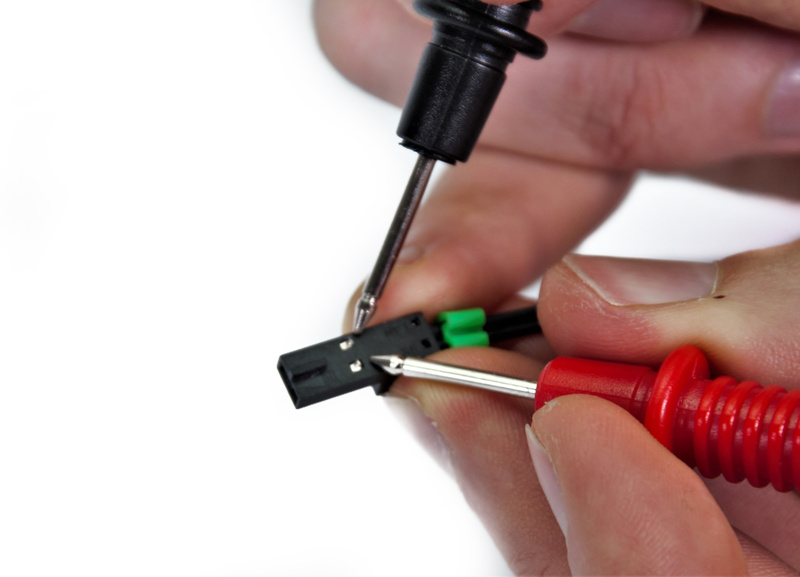 The fuse for the PSU can be taken out of the slot above the power cord by using a flat head screw driver. For this measurement, the printer has to be turned off and the component that is measured has to be unplugged from the RAMBO. In order to check if heaters are within their range of specified resistance, the following measurement can be done. For this measurement, the multimeter needs to be set to the lowest range that includes 20Ω. 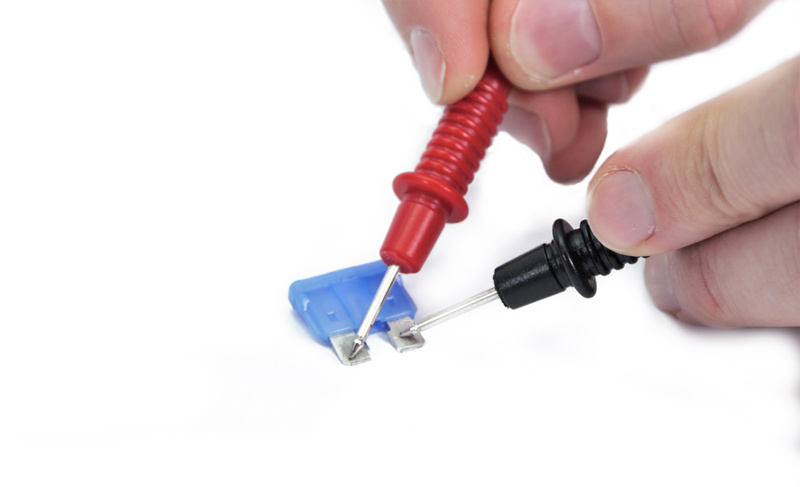 The measurement can be done on the screws in the connector for both the hot end heater and the heat bed. 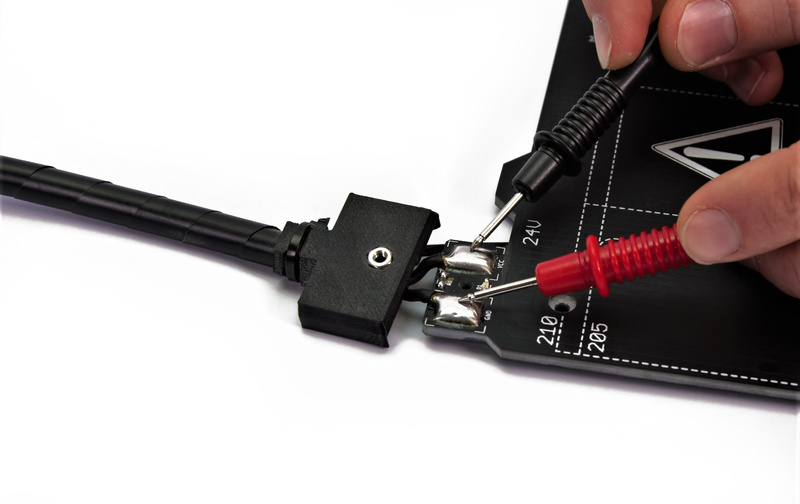 For the heat bed, it is also possible to probe the solder pads / screws holding down the cables. For this measurement, the printer will be turned on and there will be a risk of shorting the circuit. Always make sure to keep + and - from touching each other! In order to check if the correct voltage is being supplied to the heaters, the following measurement can be done. For this measurement, the multimeter needs to be set to the lowest range that includes 24V. The measurement can be done on the screws in the connector for both the hot end heater and the heat bed. For the heat bed, it is also possible to probe the solder pads / screws holding down the cables. In this case, the connectors have to be connected to the RAMBO. To measure, start preheating the printer to PLA and measure the component you are investigating. In order to check if thermistors are within their range of specified resistance, the following measurement can be done. 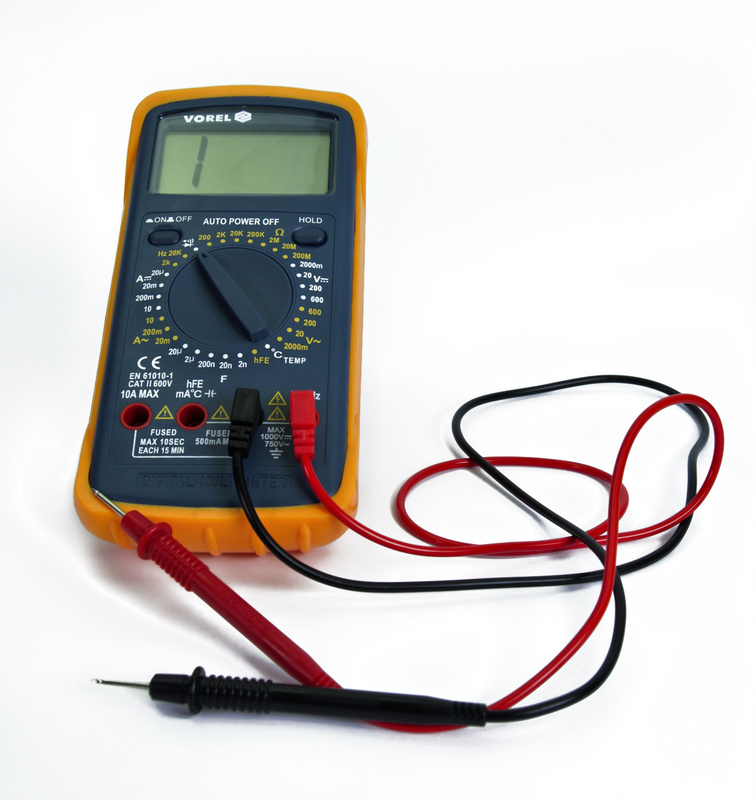 For this measurement, the multimeter needs to be set to the lowest range that includes 100 kΩ.